Call Now Before It Gets Worse! Get rid of water damage problems with our team. We will get back to you with an estimate within 30-60 minutes! Forget about flood restoration headache! MD Water Restoration will deal with any water problems in a timely manner! Repairing a house after the storm is no more a trouble. Let MD Water Restoration experts take care of storm damage removal! Sewage issues are no more a trouble. Let our sewage damage restoration experts clean your house and make everything shine! When your home or business suffers damage from a fire, flood, storm, or other natural or manmade disaster, you need help fast. The water damage that follows such a disaster is one of the most critical and devastating forms of destruction your residence or commercial property can experience. 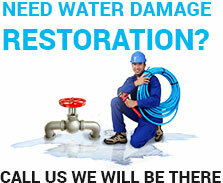 Call the experts at MD Water Damage Restoration right away. We’ll respond to your call in seconds and be onsite in 30-60 minutes. MD Water Damage Restoration can handle all your residential and commercial property water damage and restoration needs, and has been providing expert service in the Baltimore & entire state of Maryland since 2001. Serious damage from flooding can occur in a matter of minutes. It can cause structural and other permanent damage to your property, and put your health and safety at risk the longer you wait to take action. We are available 24/7, 365 days a year to bring our expert knowledge, professional products, and powerful, industry-grade equipment to your home or business to get to immediate work restoring your property to its pre-damage safe, comfortable, livable condition. With our full suite of commercial cleanup and water removal services, we protect your business and minimize further water damage from occurring. Our experts safely treat and clean smoke- and fire-damaged areas in your home or business, restoring them to their pre-fire condition. We work quickly to extract standing water before mold and mildew take hold or your property is rendered structurally unsafe or uninhabitable. When disaster strikes, it can be devastating, as it displaces families and disrupts business. Our team of professionals treats every situation with the urgency, respect, and sensitivity it deserves. All MD Water Damage Restoration technicians are IICRC-certified, having obtained professional credentials directly from the Institute of Inspection, Cleaning, and Restoration Certification organization. We always seek to hire, train, and retain the best, most qualified professionals in the business. You can trust that our technicians are dependable and highly skilled, and have all passed a thorough screening process. Our fleet of trucks is clean, modern, and equipped with powerful, industry-grade state-of-the-art equipment. We are available to work around the clock to perform the necessary cleanup, make repairs and renovations, and minimize the potential for additional damage to your home or office property. We have completed countless successful water damage cleanup and restoration projects, and supported thousands of clients to overcome the stress and emotions involved with experiencing damage from flooding, fire, smoke or some other disaster in their home or business. And, we work directly with your insurance company to facilitate your claim. Our expert staff will document our steps in easy-to-understand terms and provide photographs of the damaged areas. With our expertise and experience, we work hard to help you get the best and most timely insurance settlement possible. Top-notch customer service – We want you to be 100% satisfied with our services and our technicians. Teamwork – As a team, you tell us what you need, and we deliver! Together we review the situation and decide how to proceed based on our recommendations. Safe, effective processes and results – Your health and safety are our concern. We clean, sanitize, and deodorize the damaged area and restore it to its pre-damaged condition. Our full attention – We move quickly and efficiently, to make sure the job is done right and on time. MD Water Damage Restoration is available to respond to your emergency call 24 hours a day, 7 days a week. We have been responding to water emergencies and performing damage restoration since 2001, covering all of Baltimore & entire state of Maryland. We are proud to say we exceed our clients’ expectations by providing the exceptional service and attention to detail that sets us apart from the competition. Our goal is to get you back into your home or business property as quickly as possible, so you can get your life back to normal. We will get to your location in 30-60 minutes, do whatever it takes to minimize your loss and damage, and get to work cleaning and restoring your home or business property to its pre-damage condition. TOP-NOTCH CUSTOMER SERVICE, FOR YOUR PEACE OF MIND. TEAMWORK, TO ENSURE EACH JOB IS COMPLETED PROPERLY AND ON TIME. FULL DEVOTION AND DEDICATION TO YOU UNTIL THE JOB IS COMPLETE.